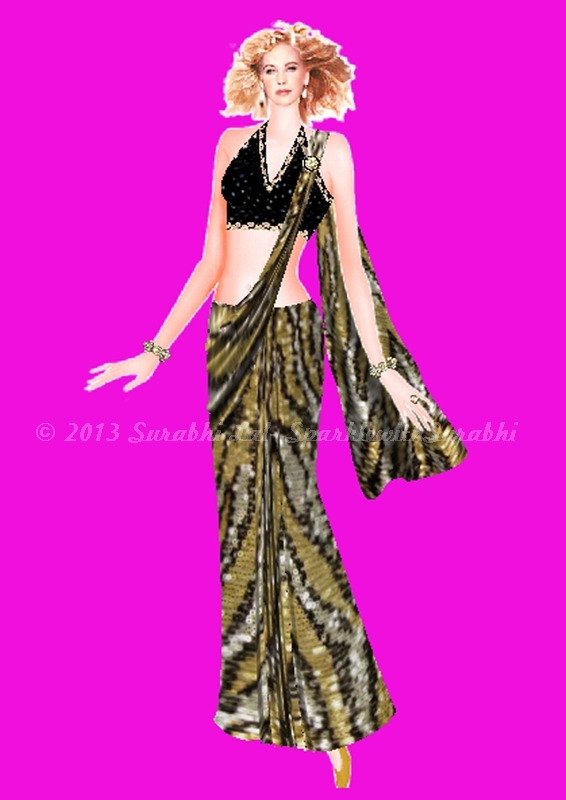 Indian Beauty Blog | Fashion | Lifestyle | Makeup | SparkleWithSurabhi : Reach Fashion Studio - Software Review. 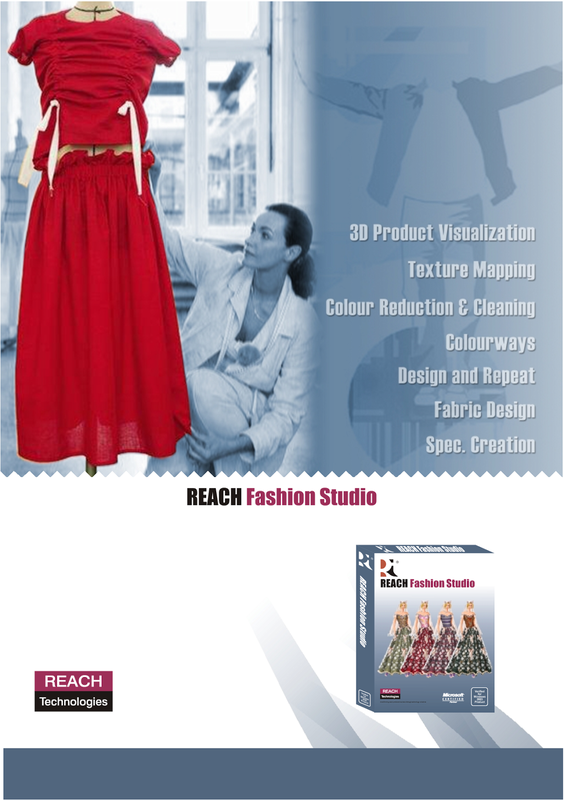 What is Reach Fashion Studio? 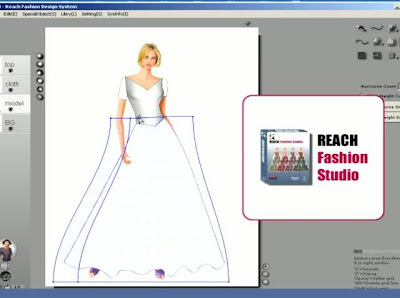 REACH Fashion Studio, Reach Fashion Design System or RFS in short is the multipurpose software for design, sales, sampling and printing departments. 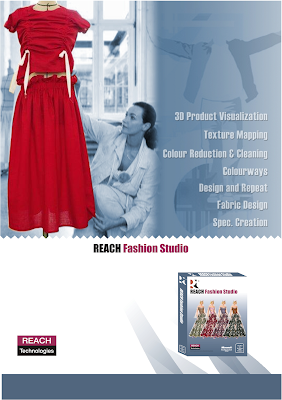 Packed with features REACH Fashion Studio enables product visualization, texture mapping, color reduction and cleaning, design and repeat, color ways, color communication. It helps you to Create designs in an entirely digital environment, thereby shortening the design cycle. This feature enables photo-realistic rendering of designs, colors, surfaces, textures and patterns.In short you are able to create 2D And 3D Designs with the help of this software. This is a product of ReachTech Banglore, India. Designers are able to visualise and design effectively. Realistic representation of your design can be created. Digitally represents the surface of a two-dimensional object as a three-dimensional object. The display of color, brightness and texture is encoded with three-dimensional properties, such as how transparent and reflective the object is. It can be applied to a linear sketch or a photograph. 3D And 2D designing with the help of grids. A useful tool to communicate within the organisation or for the presentation in front of client. A wide range of effects are available, this includes natural wrinkle creation and create shadow at edge of surface and also folds. Please watch Demo video's By Reach Tech, Bangalore. In Sample A: You can see that I have created a snake leather bustier and a knife pleat skirt with animal print. All the prints that I have used in this sheet can be use as a print of the dress or also as the background. The Knife Pleate effect has been created with the help of Grid and shading is also added to create 3D Effect. In sample B: Workout girl wearing a Lycra or Latex gym outfit with added 3D effects, shading, folds. Sample C, D, E are similar all the prints used in the background can be used as the print, texture or fabric of your design and visa-verse for the prints used in creating these Trousers. In Sample C: A Jute fabric is used as the background image and it can also used to create the texture of any of your creations. 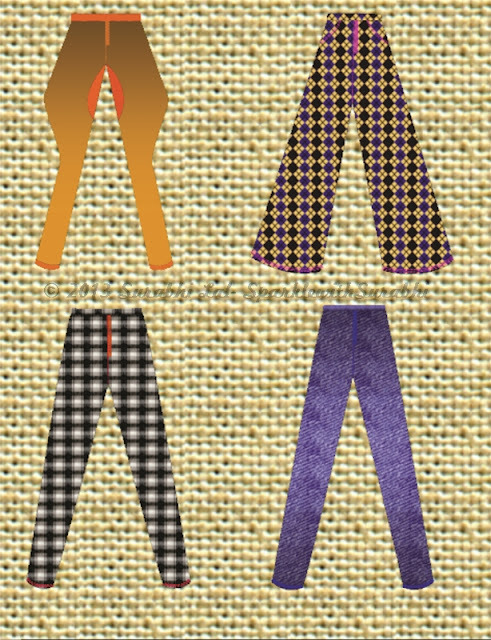 In Sample D: A Check fabric has been used as background and can be also used as a texture for your fabric. 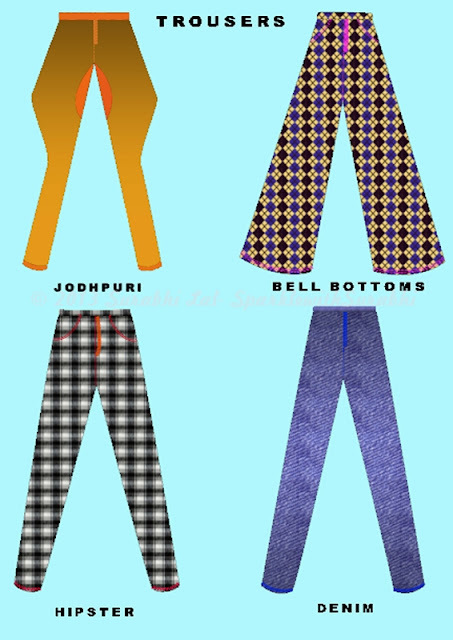 In Sample E: As you can see the background has been changed to a pastel shade so that fabric of the Trousers can be highlighted and they have been labeled. Sample F & G are also similar; As you can the Mannequin is wearing a Saree and is wearing a zebra print in a sequinced fabric. Jewellery, Lace & Brooch has also been added to this design to make it more realistic. 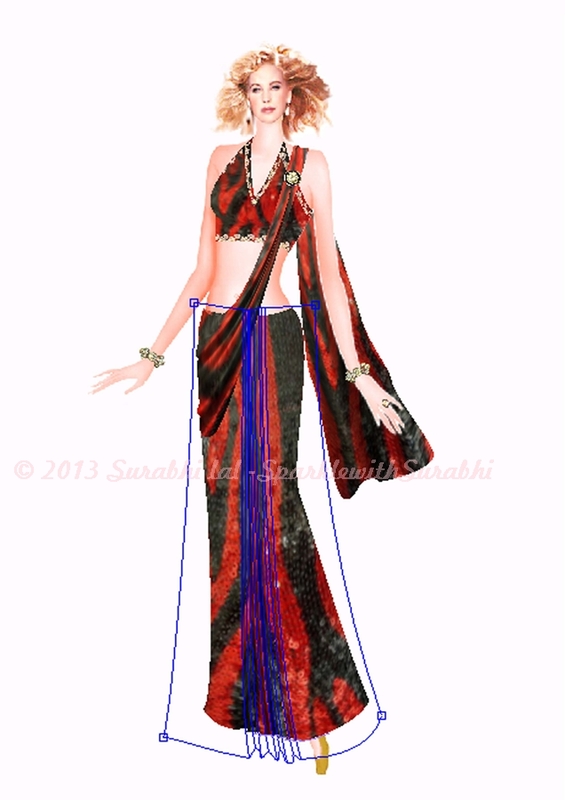 3D Effects have also been added to create the Pleate of the Saree and to highlight the bust. These effects has been created with the help of grids as you can see below. In Sample H: The Mannequin is wearing a Chrome Yellow Sundress which optimum to be worn in summers near the beach or the pool. The effect of pool is added as a background. Laces and Belt has been added has been added as an Accessory. The effect of folds have been created and Shading and 3D effect has been created with the help of a Grid. 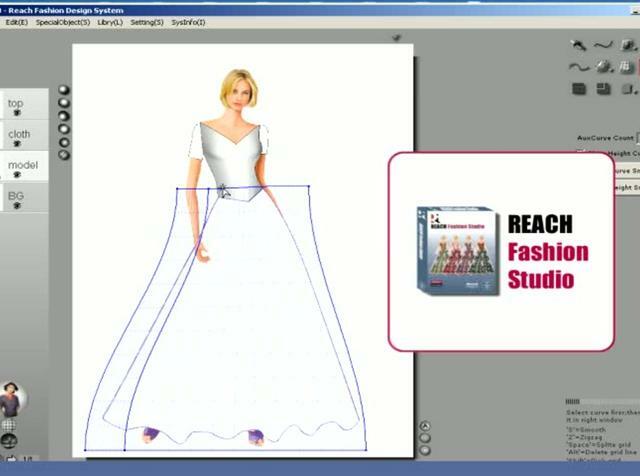 This software is a must know if you want to become a great fashion designer. Join your nearest Cadd Centre. Availability: Dreamzone CADD Centre, Nift in India. 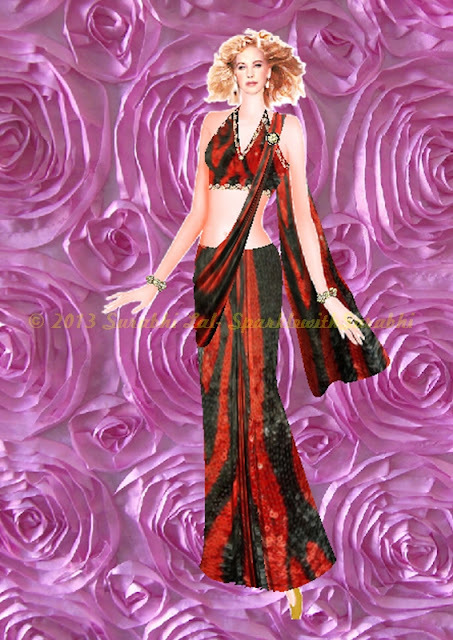 Price: If you wish to Purchase visit: www.reachfashionstudio.com And student version is Available at 50,000 INR or $925 U.S. Rating: 4 Stars for the Student Version. Good to know that you liked it!! I agree completely with you!, You can see more designs of RFS in the graphic design and vectors page on the header of my blog. 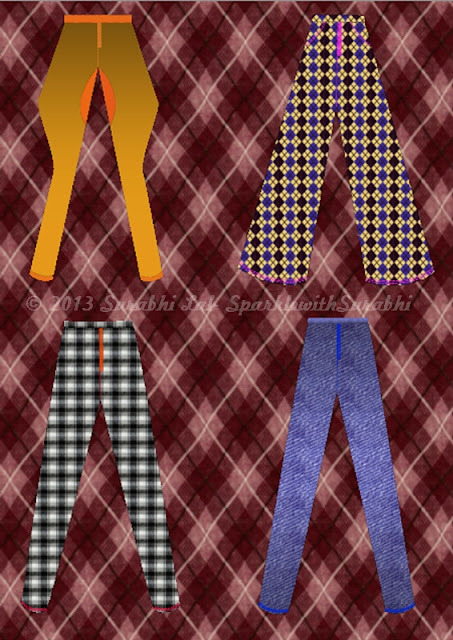 I have posted lot more designs there and Thank you for visiting my blog and for loving my work!! How can I get this software for free? This is really a good and informative blog.